Our experienced, qualified and highly motivated staff have a strong team ethic and a “can-do” attitude. Working in close partnership with our supply chain and using localised expertise and knowledge, our ultimate aim is to assist the Client to realise their requirements. We are proud to have an established and stable team whom with synergy and efficiency undertake a wide range of projects and repeatedly deliver a dependable service suited to the needs of each individual customer. We enjoy working as a team with our Clients and Supply Chain and keenly promote the benefits of a culture of trust, co-operation, and proactive working relationships. We encourage our team to continuously develop their professional skills and knowledge and we are constantly updating our performance to be at the forefront of modern construction technologies. 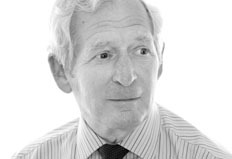 Owen founded the company in 1971 and has been the driving force behind its growth and stability ever since. Over the years Owen has also established a commercial property and development company and a house building company, both of which we continue to partner on various developments today. As Chairman he supports and guides the core management team and his business acumen, experience and wealth of contacts are hugely beneficial in the running of the company. 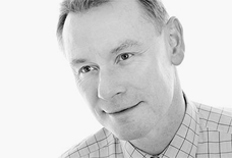 Bill has been with Watson & Cox for 19 years starting as Commercial Manager and in 2005 became Managing Director. He is responsible for the overall running of the Company and takes an executive management role in all projects, from initial business development and construction leads, through pre-tender, tender-phase, construction-phase and completion. Bill is responsible for HR and marketing, and in his spare time, enjoys days on the golf course. Darren is an experienced construction professional with an extensive portfolio of achievement and notable projects. 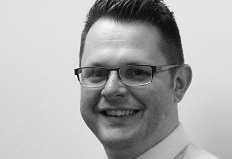 Joining the company as Construction Director in 2007 Darren is responsible for the management of all company operations including construction personnel and project delivery along with the Business Management and Health, Safety and Environmental Systems. Darren has been instrumental in achieving our accreditations to ISO 9001 and ISO 14001 and is in the process of integrating our systems to further improve efficiency and further our aims for Continuous Improvement. 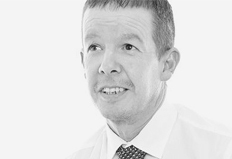 Stuart joined the company in 2001 as a Project QS and has since been promoted to Senior Surveyor and to Managing Surveyor in May 2012. 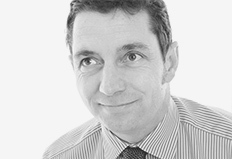 During his time he has been QS on some of the larger projects carried out by Watson & Cox and has been pivotal in ensuring that the financial success has been managed both internally and externally, working closely with the Clients team making sure that the Client has been kept up to date with the project progress. A relatively new member of our core management team, having joined the company in 2017. Matthew’s background is in building services and he now acts as our M&E specialist, procuring and managing the M&E packages on our projects. In 2018 Matthew also took up a key role in our business development team and is currently developing methods to create long term value for our clients and for our organisation.